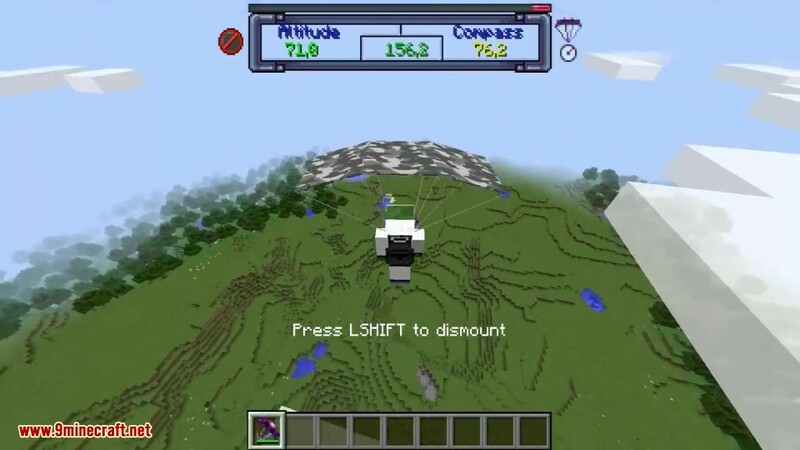 Parachute Mod 1.12.2/1.11.2 allows you to jump from high places and control your decent. 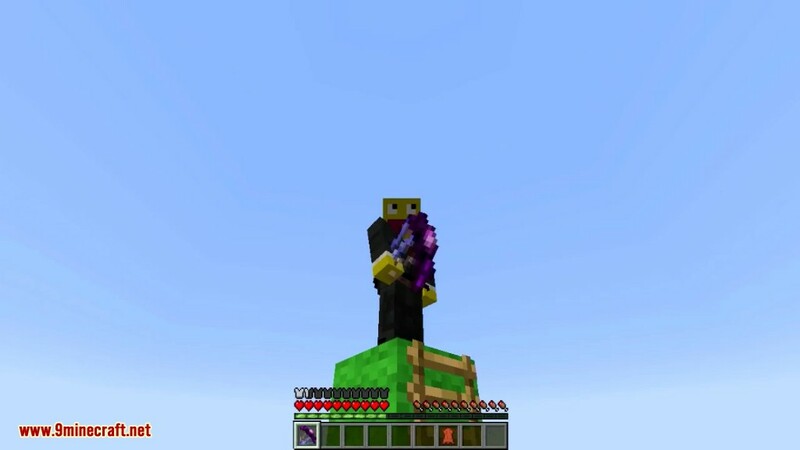 Now Minecraft base jumping is possible. The parachute pretty much steers just like the boat. Only difference is that it’s not as easy to tell where the front of the chute is. 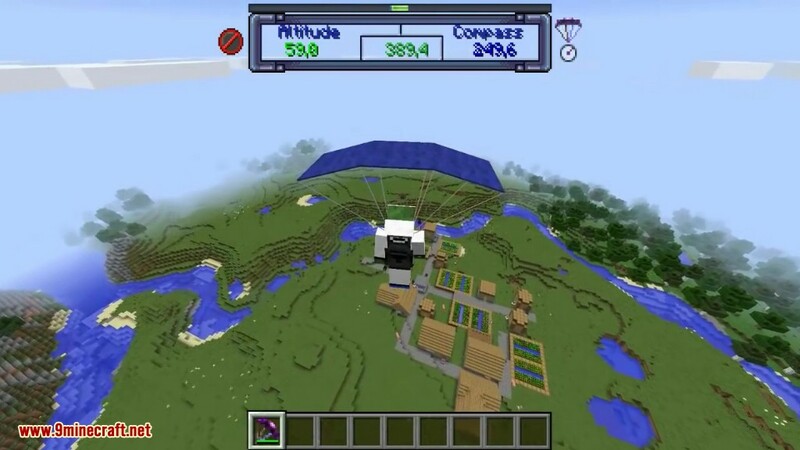 The front of the parachute can be found by looking up or from third-person view. The parachute cords are more red on the right side of the parachute. It’s fun! It only takes a few jumps to learn to skydive! Pressing the ‘W’ key will give you forward motion that can take you pretty far. 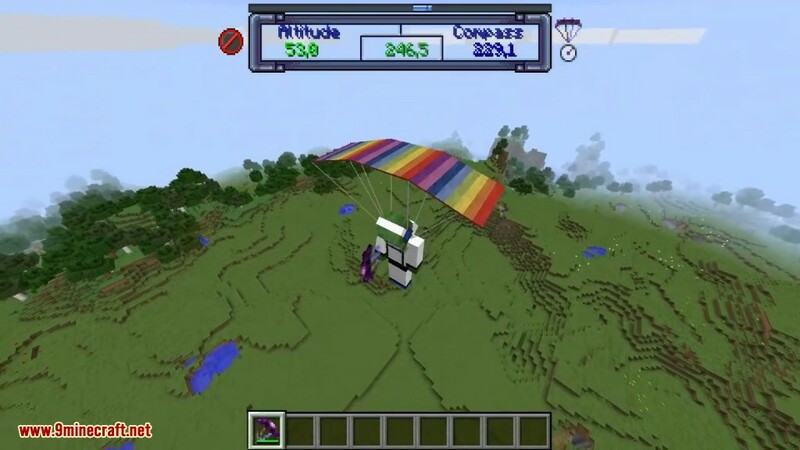 The parachute will automatically deploy by right-clicking after you jump. 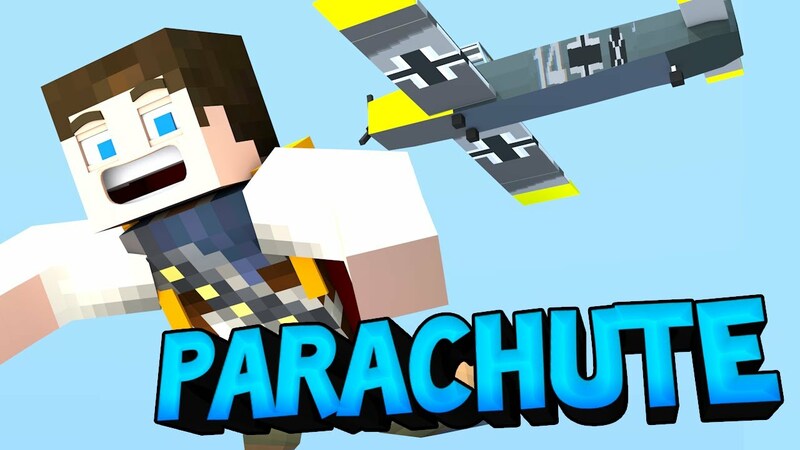 Make sure the parachute is selected in your inventory first! 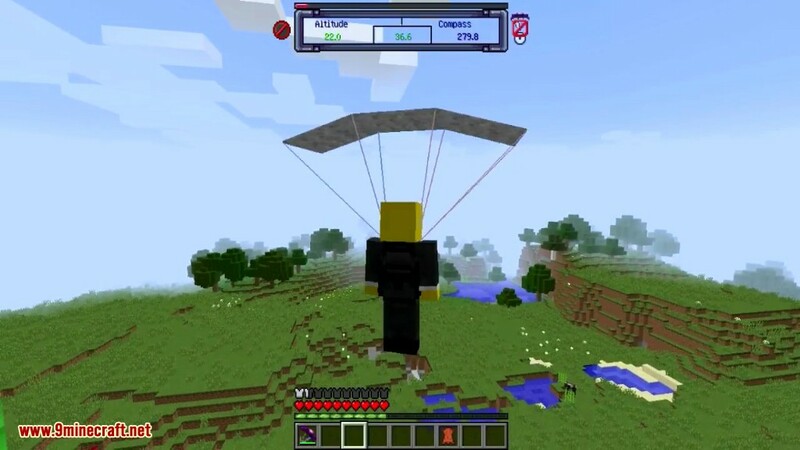 Just above the ground your parachute will ‘drop’ giving you a soft and safe landing. Watch out for overhanging cliffs and cliff walls. The parachute may ‘drop’ if you get too close. Use the ‘C’ key to add ‘thermal lift’ and you will rise up. Use the ‘X’ key for faster decents. As you can see this is a high performance ‘square’ type of parachute. 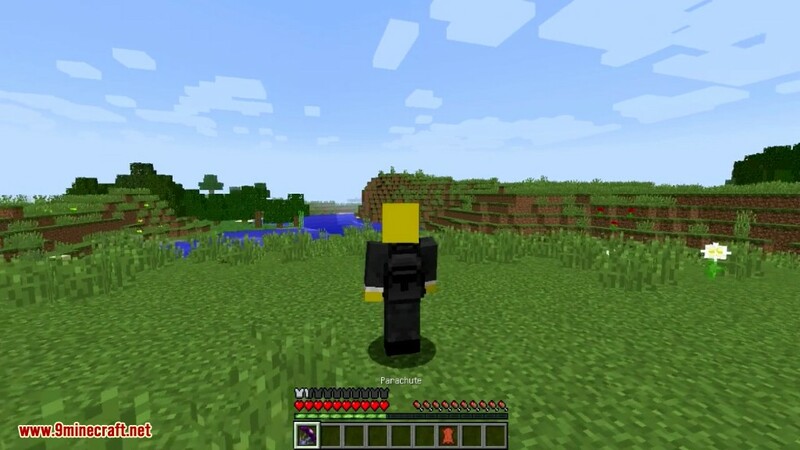 This is Eld’s ArtPack texture pack. 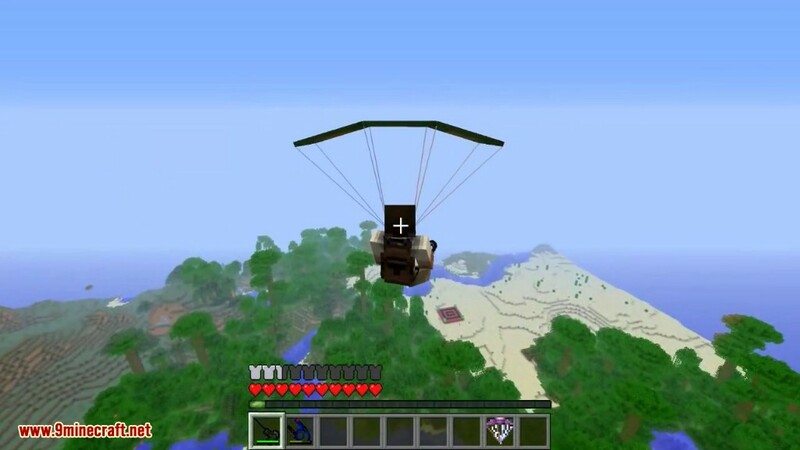 This one shows the parachute with a 32×32 Glimmar’s SteamPunk texture pack.